So after all the wild weather the mainland has been having this week it looks like its finally headed my direction. 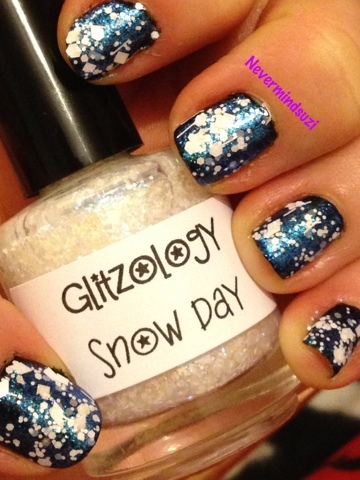 So what better time to try Glitzology's Snow Day? 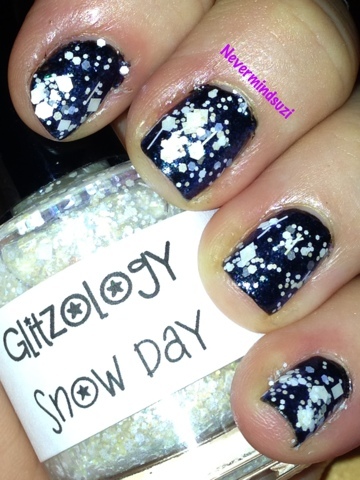 I started with Nails Inc Serena them added 2 coats of this beauty. 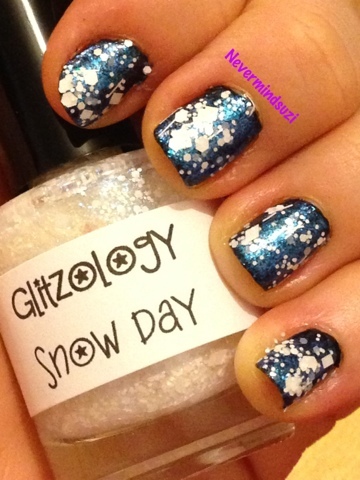 Snow Day is a beautiful colour changing duochrome shimmer that once put onto Serena created the prettiest blue/green shimmery base. Add to that lots of funky white glitters, hexes, bars, you name it, this has got it.